Here my latest selfie of the year 2016. This was taken from a selfie I did while lying on the bed. 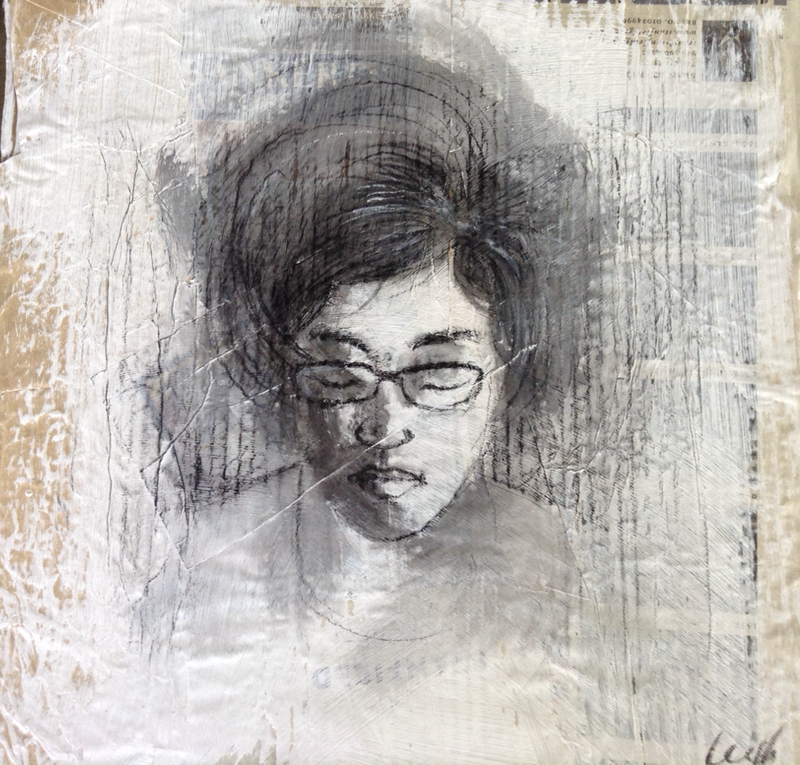 Drawn with conte and then diluted with wet brush on a gessoed cardboard. Simple.